The Blue Light flickered. The Die Hard Battery just stalled. Can Kenmore's days be numbered. Sears is filing for bankruptcy. Another piece of my childhood slides into oblivion. I remember my brother and I spending hours flipping through Sears Christmas catalogues preparing our lists to Santa. I recall Icees at Kmart and flipping through the album section for the latest rock releases. Kmart was king before Walmart. Even after Walmarts established their dominance Kmart was a quick alternative. 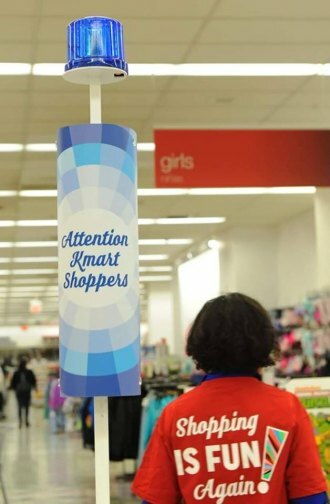 Customers could avoid the big Walmart lines and crowded parking lots by running into Kmart. But then the stores started closing and like dominoes....it spread. Like our older big cities, Kmart and Sears stores infrastructure begin to falter. The ceilings began slowly falling and the floors began cracking. The buildings were no longer as pretty as the squeaky clean Target stores. Sears image began to age....perhaps rightly so. For our grandparents to used to read the Sears and Roebucks catalogue in their outhouses decades ago. Suddenly, we were a Walmart world. I remember at least once a month my dad would get "lost" in Sears looking at tools. My mom made weekly trips to Kmart for Harlequin Romances. There are a few Kmart stores that may survive if they divorce Sears. The old Sears brands may survive as well but the end is near. Times changes everything. The Saturday afternoons at Kmart and Sears and then Shoney's are gone....along with my childhood. We have Amazon now...we do not even have to leave our homes to shop. No more lines. No more blue light specials. Life is better.....right?